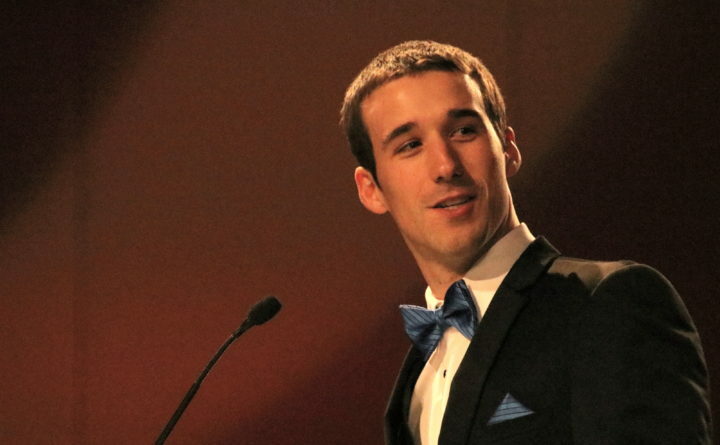 Austin Theriault, a native of Fort Kent, delivers his acceptance speech on Saturday night in Indianapolis after being honored as ARCA's 2017 racing champion. 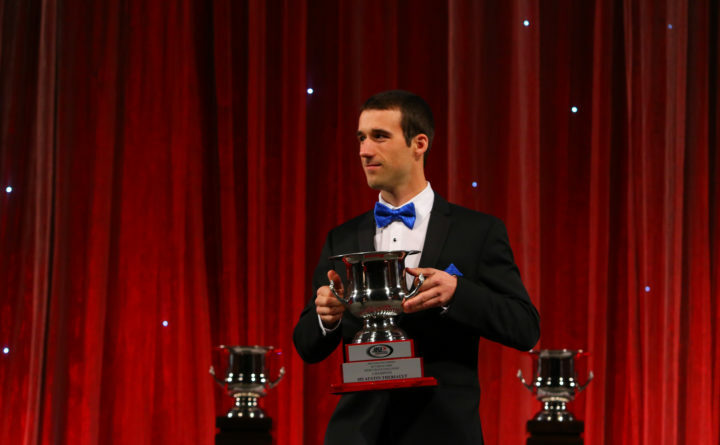 Fort Kent native Austin Theriault poses with the ARCA championship trophy after being honored at the organization's annual banquet on Saturday night in Indianapolis. Richeson received the Cometic Crew Chief of the Year award. Theriault cleaned up in the Special Award categories, receiving top honors for the Sioux Chief Short Track Challenge championship, the General Tire Superspeedway title and the Bill France 4 Crown championship. He also took home bonus checks from numerous ARCA sponsors. Riley Herbst won the SCOTT Rookie of the Year title while his car owner Coy Gibbs got the University of Northwestern Ohio year-end bonus. MDM Motorsports won the General Tire Pole award. Dalton Sargeant earned the Valvoline Lap Leader of the Year. 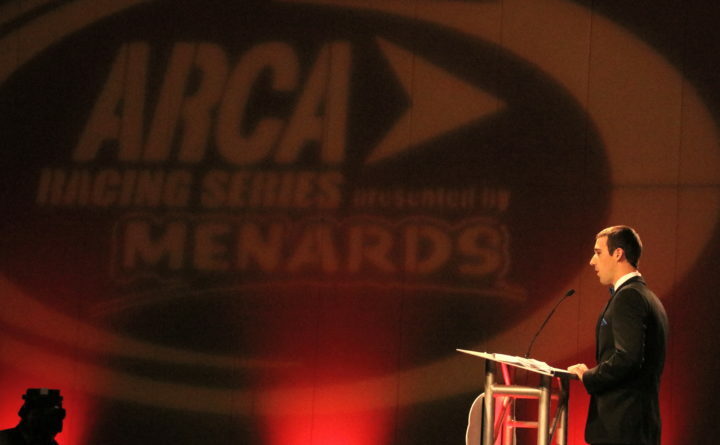 The spotlight also shined down on more Special Award recipients, including longtime car owner Wayne Hixson, who received ARCA’s highest Special Award honor, the Marcum Award. Other Special Award honorees included Bill Kimmel as the General Tire Spirit Award recipient. Kimmel’s son Will accepted on his father’s behalf. Motorsports Marketing Manager for Toyota Motor North America Mike Childs accepted, on behalf of Toyota, the Manufacturer’s championship. The Series, headed into its 66th consecutive season, turns its focus toward 2018 season and open testing Jan. 12-13 at Daytona. The 55th annual Lucas Oil 200 Driven by General Tire is scheduled Feb. 10.